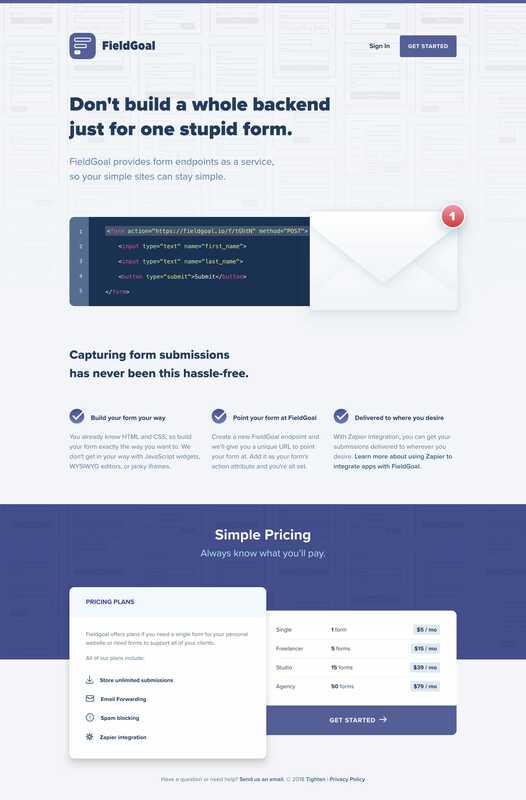 Real slick Landing Page for FieldGoal – a service that provides form endpoints, so your websites stay simple. It lacks a potent testimonial but really the perfect amount of information in a Landing Page with an excellent single preview image. Don't build a whole backend just for one stupid form. FieldGoal provides form endpoints as a service, so your simple sites can stay simple.